In this essay, USAID Counselor Tom Staal describes seeing the destruction and despair left behind by ISIS in Iraq. One person he met compared the destruction in Mosul, pictured here, to Dresden after World War II. I have spent a lot of time in Iraq. The son of missionaries, I grew up in Basrah, an oil and port city in the south. Over the years, I traveled in and out of the country for work, and I became USAID’s Mission Director in Baghdad in 2012. But this month, as I returned to survey U.S.-funded stabilization projects and speak with Iraqis displaced by the Islamic State of Iraq and Syria (ISIS), the country I found was familiar, yet foreign. It was the same resilient and welcoming country I knew. But I also found a people traumatized and vulnerable, but resolute. The destruction and despair left behind by ISIS was like few things that I’ve seen before. Yes, during my visit, the Iraqi Government announced victory over ISIS. The celebrations I witnessed were a demonstration of the Iraqi people’s perseverance and ability to overcome enormous challenges. But my visit also made clear just how far the Iraqi people have to go as they work to recover. One person I met compared the destruction in Mosul to Dresden after World War II. The city has been leveled. 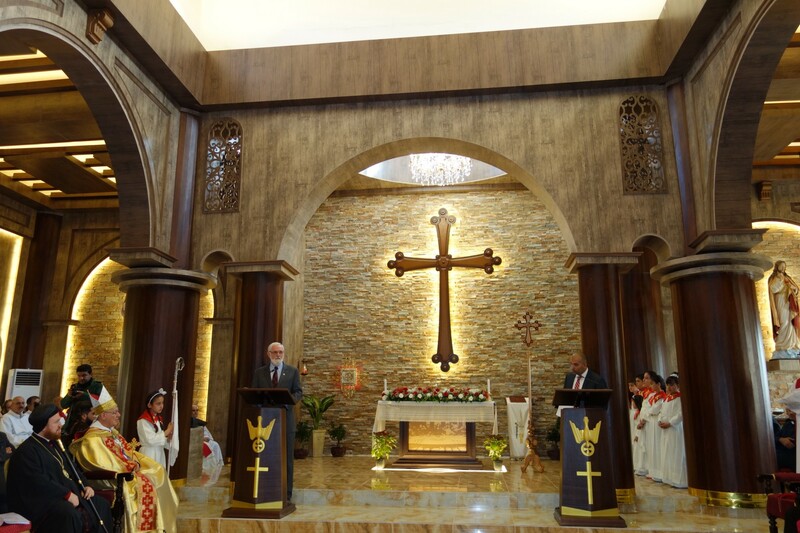 During my visit, I attended the rededication of a refurbished Chaldean Catholic church in the Ninewa Plains. Three and a half years ago, ISIS looted and burned St. Gorgis Church in the town of Teleskof. On the altar, they beheaded members of its congregation. Local Iraqi Security Forces liberated the town two years later, and when ISIS launched an attack to retake Teleskof that spring, local Iraqi security forces, supported by U.S. Special Forces, succesfully beat back ISIS ; tragically, however, an American, Navy Petty Officer First Class Charles Keating, was killed in that battle. But the hard-won peace brought people back to rebuild the village. The service I attended was a celebration. You could hear cries of joy from the women throughout the church as the community reclaimed their holy ground from evil forces. They anointed the altar and walls of the church with oil, and consecrated them with hope for a brighter tomorrow. I spoke to the congregation, and assured them that the United States stands with them. Americans stand with them in their hour of need, and we are committed to helping persecuted Iraqis continue to rebuild as they seek out that bright future. Later, I traveled to a Yazidi village, where I met five internally displaced people. Two young girls, one 16, the other 13, told me how they were sold after ISIS took their village. They told me that 3,000 Yazidis are currently missing, either buried in mass graves, sold into slavery, or living as the “adopted” children of ISIS fighters. All of the people I met cried out for security. They just want a safe place to live. They told me their people had lived peacefully alongside their neighbors in Iraq for thousands of years, and they can’t understand why this is happening to them. They can’t understand the injustice. It was heartbreaking. I asked them, “Besides security, what else do you need?” The 13-year-old girl told me, “My family. I have no idea where they are.” I sat with them for a while, listening to their stories and reassuring them as best I could. These people need our help, the people who are rebuilding their villages and rededicating their churches need our help, and we are going to do what we can to help them. To prepare for cold, wet, and even snowy winters, we are upgrading shelters and providing blankets and kerosene heaters to protect families, who are living in camps for internally displaced people. We are providing primary health care, psychosocial support, and counseling to women and girls. These programs address immediate needs, but there is much more to do as they work to build a safer future. But while helping persecuted religious and ethnic minorities in Ninewa Province is the right thing to do, and reflects America’s compassion, it also is in our national-security interests. Maintaining pluralism is critical to peace and stability in the Middle East. On October 31, USAID issued a broad agency announcement to gather ideas from the public for new programs to help displaced Iraqis return to their homes in the Ninewa Plains and western Ninewa Province. 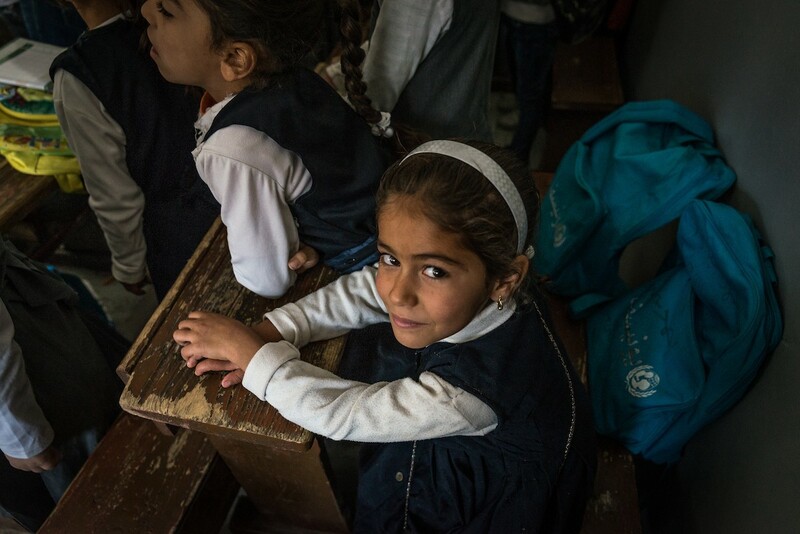 USAID is now reviewing proposals we received from a wide array of groups concerned about the future of Iraq, including groups concerned about the preservation of religious and ethnic diversity in the country. We plan to host a “co-creation workshop” at the beginning of the year, where participants will work with USAID and other partners to develop innovative ways to help people like those I met on my trip. There is still a long way to go in Iraq, but I’m hopeful because I know that the American people stand with our Iraqi friends, and we will help them as they work to recover, rebuild and chart their own path forward. About the Author: Tom Staal is the Counselor at USAID. He has worked for the Agency for 29 years, serving as USAID Regional Representative for Southern Iraq from 2003 to 2004, and Mission Director for Iraq from 2012 to 2013.